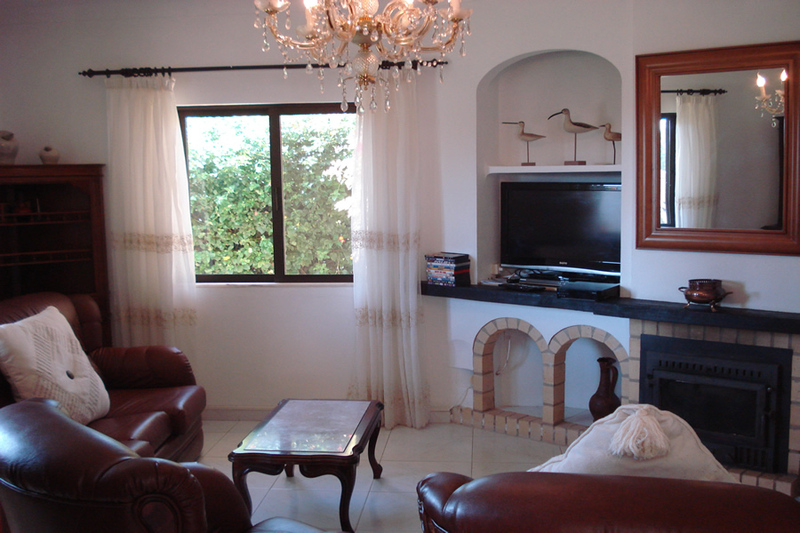 Casa Avaragosa is a 4 bedroom, 3 bathroom villa located in Sesmarias. 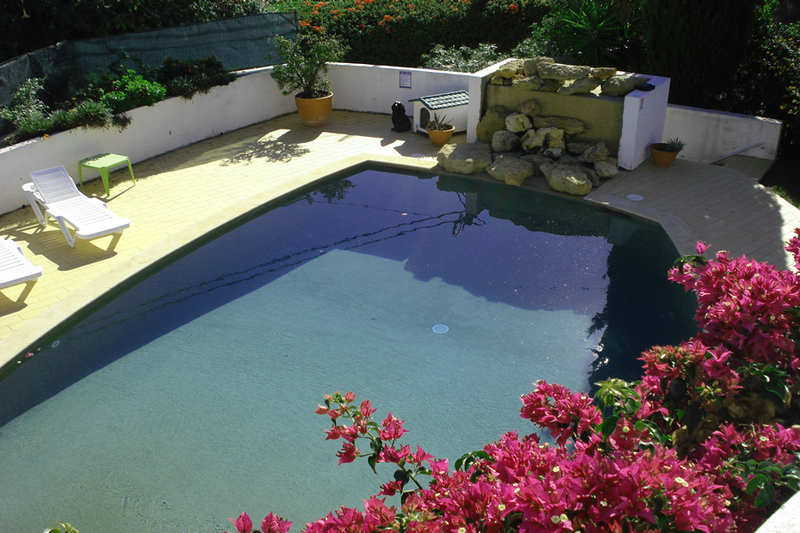 The villa has a very nice swimming pool area with water feature. 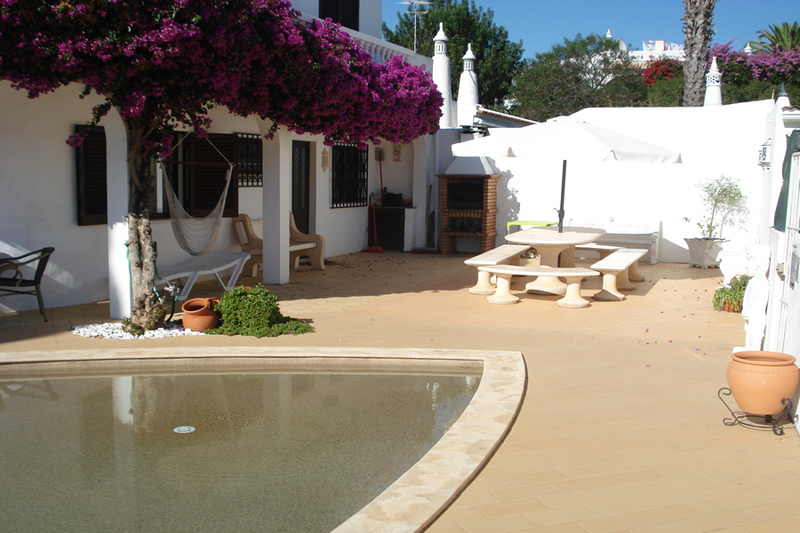 The pool can be heated at £130 / 150 Euros per week. 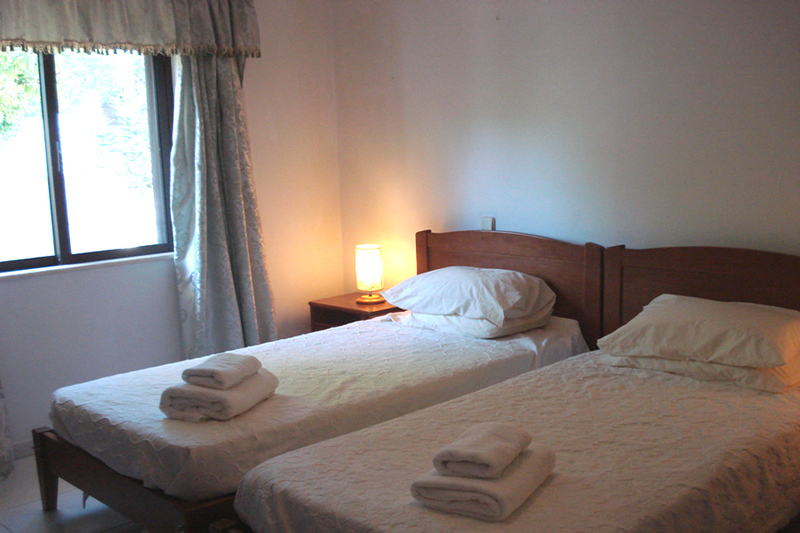 The ground floor consists of the fully equipped kitchen, house bathroom, one double bedroom, the comfortable lounge with LCD TV, Satellite TV and a DVD player and the dining room. 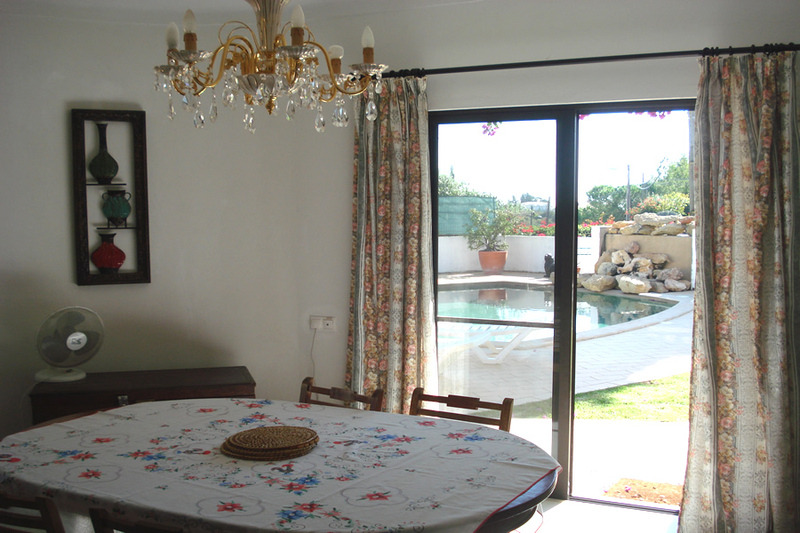 Patio doors lead from here to the swimming pool terrace. The villa also has free high speed Wi-Fi. 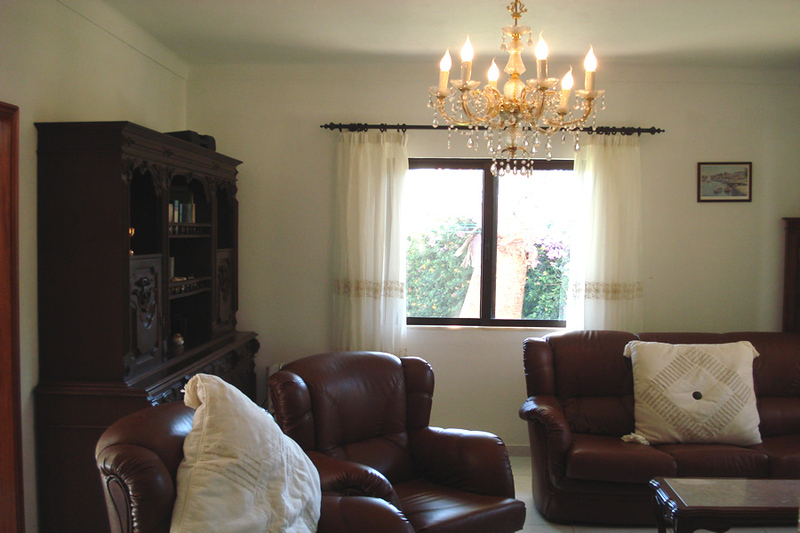 The remaining three bedrooms are upstairs, two are doubles with one being a twin room. 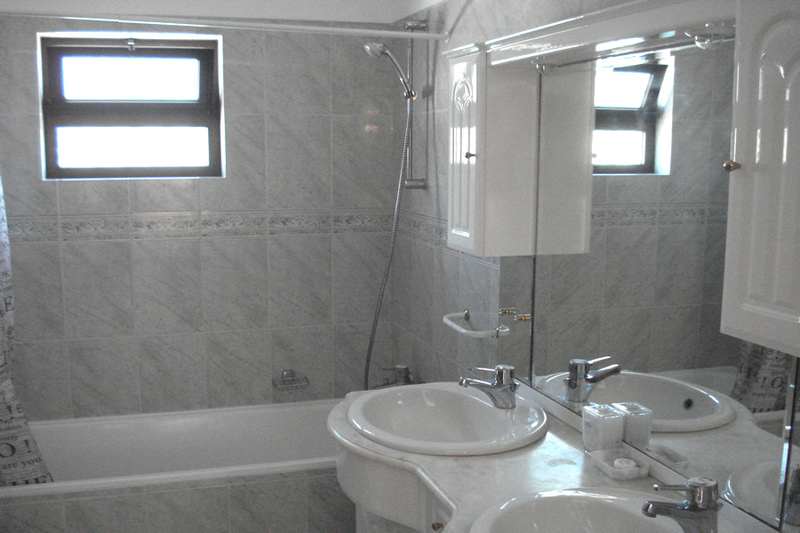 One of the double bedrooms has full en-suite facilities, the remaining bathroom is located right outside the other two bedrooms. 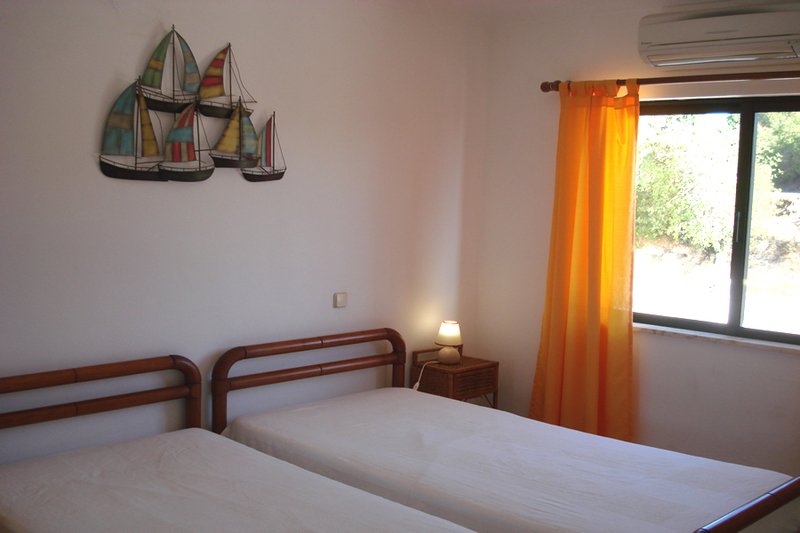 One double bedroom and the twin bedroom have air conditioning. The other bedrooms have fans. There is an upstairs terrace area overlooking the garden and pool area. The pool area is equipped with patio furniture for your comfort and there is good quality furniture outside the kitchen for outside dining. 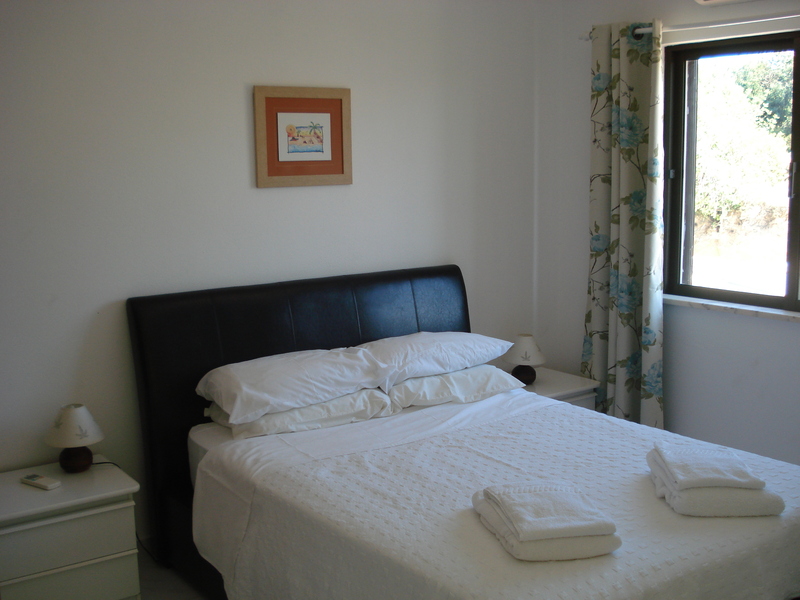 Carvoeiro Tennis Centre, the Pestana Golf Resort and the Slide n Splash water park are all nearby. 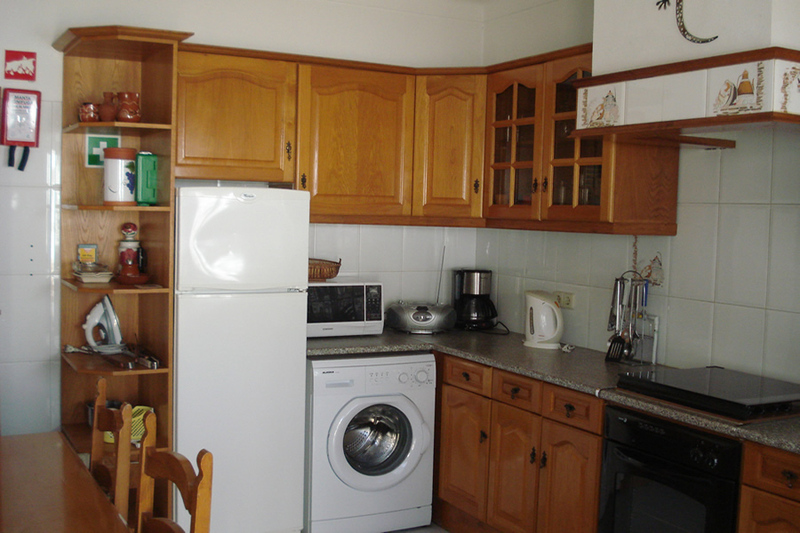 There are restaurants, cafe's and a small supermarket all within easy walking distance of the villa. 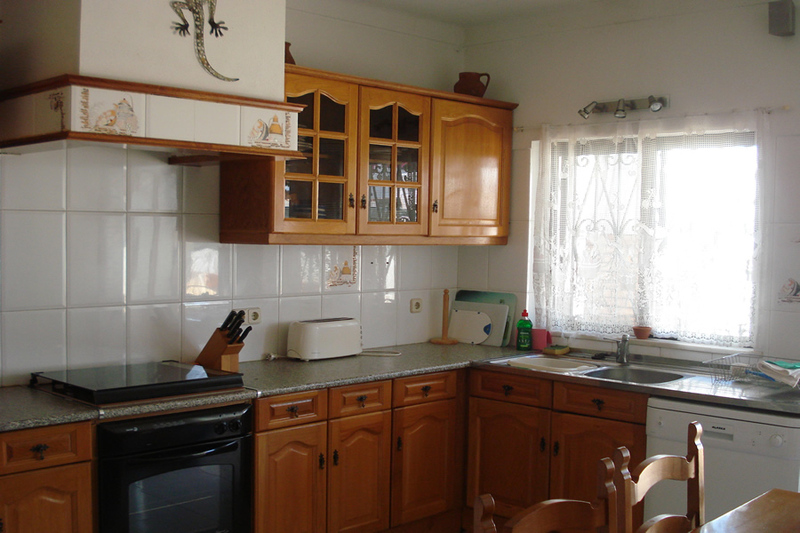 At these prices, this 4 bedroom villa represents great value for money. 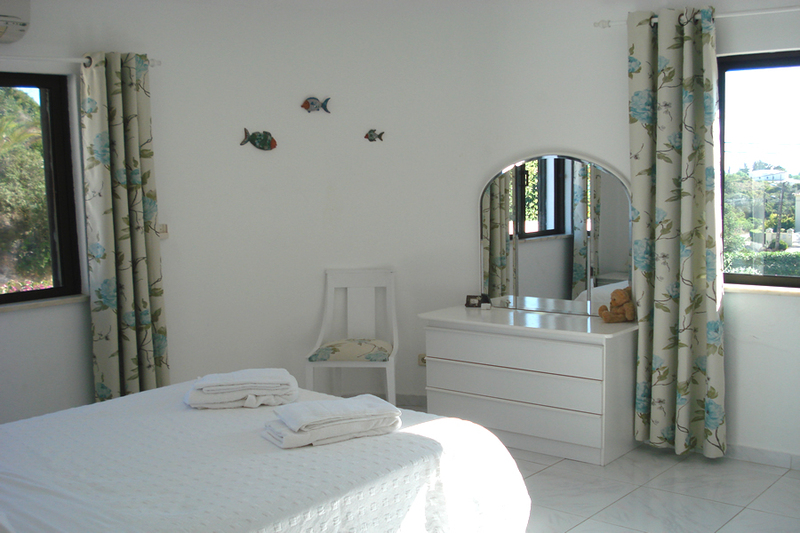 *This villa has been priced for a maximum occupancy of 6 persons. 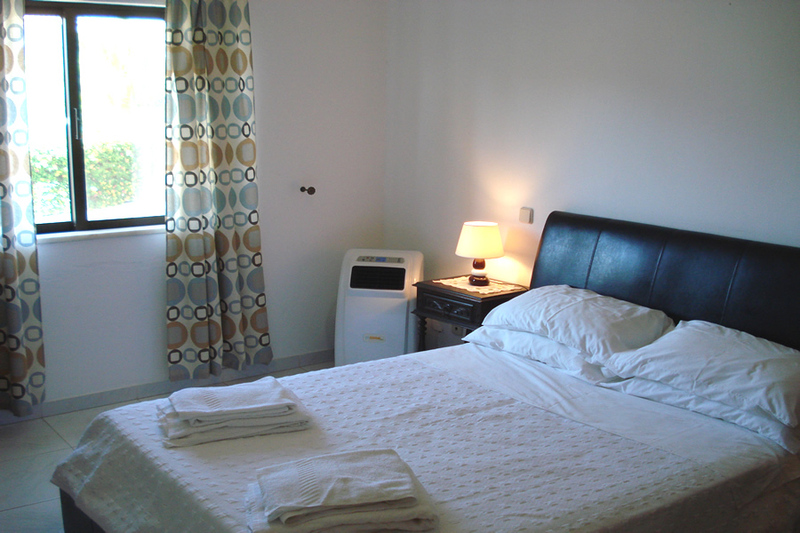 An additional charge of £100/€112 per week will be made for a 7th person and £150/€170 for up to 8 persons. During the Winter Period we offer discounted prices of -10% per week for bookings of over 3 weeks, and -20% per week for bookings over 6 weeks.